A brand new trailer for The Walking Dead season 9 has arrived online. 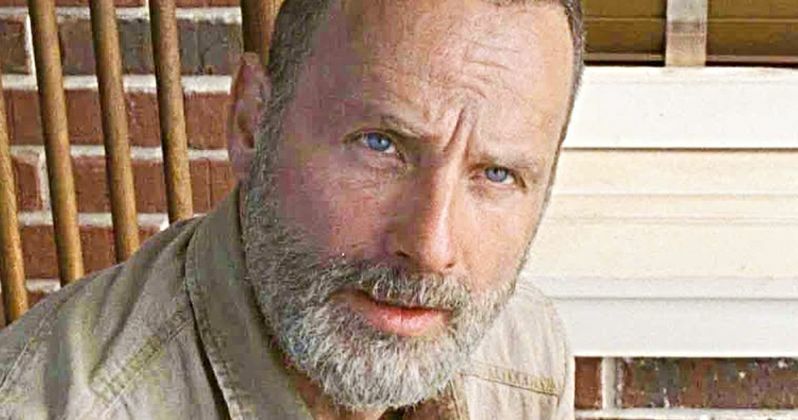 This particular trailer is billed as the "Rick Grimes' Final Episodes" trailer, as Andrew Lincoln is officially departing the show at some point during the upcoming season. But as this trailer reveals, the leader of the hit AMC series has a lot to handle before his time is through and it looks like there is going to be a whole lot of intriguing happenings, both with walkers and humans alike, during Grimes' final batch of episodes. This is a very lengthy trailer and one that provides a very in-depth look at the character of Rick Grimes. There is going to be a time jump this season and that really shows in the footage here. Rick and the gang have come a long way and it looks like they've actually managed to start building a life in the aftermath of Negan. Speaking of Negan, he gets some very intriguing screen time here and it looks like the big bad is going to play an important part in Rick's upcoming exit from the show. We also get a very tense look at how the power struggle is going to play out here as Maggie looks to assert herself as a leader. And there may or may not be a helicopter thrown in there for a solid WTF moment. Aside from taking a deep look at Rick Grimes, this trailer also introduces us to some of the new faces we're going to see during season 9, like Fantastic Beasts and Where to Find Them star Dan Fogler, whose role hasn't yet been disclosed. Other new additions include Ryan Hurst as Beta, Samantha Morton as Alpha, Lauren Ridloff as Connie and Eleanor Matsuura as Yumiko, all characters from creator Robert Kirkman's comic series that the show is based on. Will they be able to help fill the void left behind once Andrew Lincoln departs? For many fans, The Walking Dead has been past its prime for quite a while and the ratings would seem to indicate as much. While the show is still easily one of the biggest on TV at the moment, millions have stopped watching in the past couple of seasons. However, the departure of both Rick Grimes and Lauren Cohan as Maggie in season 9 could be enough to get some of those who have left back on board this fall. Norman Reedus' Daryl Dixon, who gets a lot of screen time here, is set to become the show's new lead once the dust settles. How exactly that's all going to play out on screen remains to be seen, but this could be a very compelling season, if pulled off correctly, for those who have stuck with it for this long. The Walking Dead season 9 premiere is set to air on AMC on October 7. Be sure to check out the new trailer from the AMC YouTube channel for yourself below.